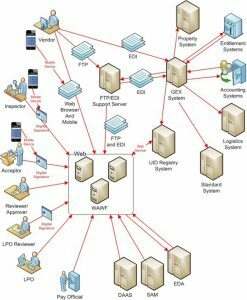 Wide Area Work Flow (WAWF) is an online e-commerce business to business application that lets Government contractors create and send electronic reports and invoices to Government acceptors/inspectors. The application is designed to eliminate paper from the Department of Defense Database. Enable vendors and government officials to electronically access and process the documentation needed to generate payment for goods and services. Each document includes: contracts, invoices, and receiving reports. ating paper and redundant data entry. Data accuracy is increased and the risk of losing a document is greatly reduced. 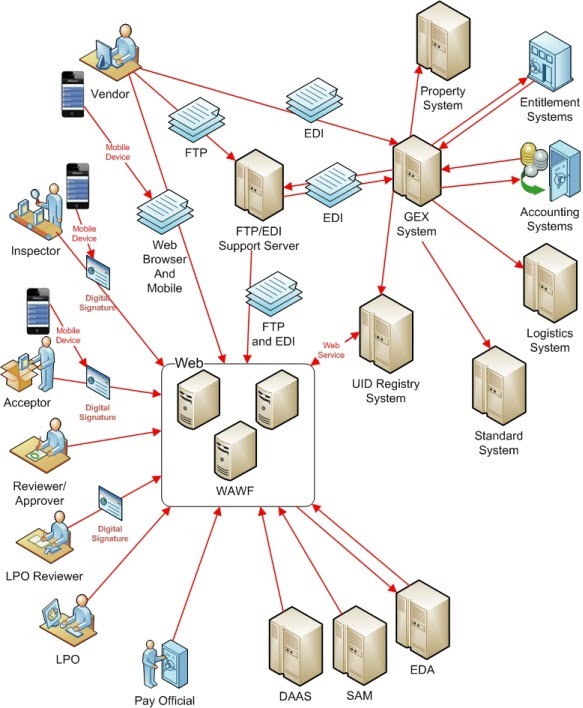 WAWF supports DoD’s efforts to reduce unmatched disbursements in the DoD receipt, acceptance, entitlement and payment process through data sharing and electronic processing. The benefits to DoD are global accessibility of documents, reduced need for re-keying, improved data accuracy, real-time processing, and secure transactions with audit capability. For vendors, benefits include the capability to electronically submit invoices, reduction of lost or misplaced documents, and online access to contract payment records. In order to register for the use of this system, you must fill out the Vendor Self Registration and create your business WAWF Document located on the WAWF Production Page.